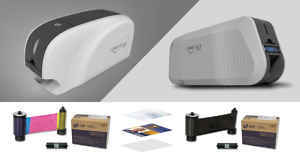 Home » IDSecurityOnline Blog » Photo ID Systems » Why Build Your Own Photo ID System? Why Build Your Own Photo ID System? There's never been a more important time in history to consider safety, both on and offline. Fortunately, photo ID machines are a simple way to improve any company's security, whether you want to create photo IDs or have a unique system to read the information stored on them. ID machines can allow businesses to keep their buildings, floor plans, and individual rooms secure for both employees and visitors, all the while maintaining a professional and forward thinking image. Bare in mind, safety is a priority on multiple fronts that Photo ID Systems can help in regards to maximizing security and minimizing risk. It's not just a matter of building and grounds safety, but individual safety as well. Proper photo id systems help business manager and administrators know who is roaming the halls and corridors and allow more protocols for managing building and room access all with a single, secure photo ID card. Additionally, these cards allow more efficient tracking of payroll hours. They can be multi-purpose cards with simple overlays that adhere to proximity or HID cards. Thus, a single card can track time, attendance, door access, photo ID, and several other features. 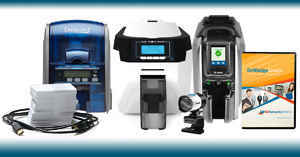 Photo ID printer systems are customizable, straight-from-the-box systems with all inclusive resources to fit the individual business' needs. Most systems can create photo ID cards that are compliant with federal and state information mandates and that serve multiple functions for the intended business, school, or facility. 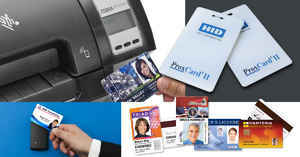 At IDSecurityOnline, we carry a wide range of ID products including printers, systems, software, printer supplies, ID cameras, RFID solutions, and badge accessories. We're a leading provider of ID solutions for a variety of organizations and corporations and committed to serving all industries, from healthcare to education, government, events, retail, transportation, and several Fortune 500 companies. The process of building your own custom printer system is relatively straightforward and now easier than ever through our website. It starts with choosing the make and model of your printer. Among our featured brands are ScreenCheck, Fargo, Magicard, Zebra, Evolis, Datacard, Nisca, and IDP. Each of our featured brands has several, if not close to a dozen, models to choose from therein. You'd then simply choose if you want a single-sided, duplex, or retransfer configuration, depending on what best suits your needs. From there, we give you the option to choose your add-on supplies. We offer options for both color and monochrome ribbons depending on whether your printer options functions for one or both. We also offer over a dozen varieties of software to make the printer you purchase optimized for your business' intended use. Additional supplies include a Microsoft LifeCam Studio ID Camera for taking all of your individual ID photos in house, helping to take the guesswork out of the process and maintaining an additional level of security. We also offer white PVC blank cards for making IDs starting in packs of 500. Its recommended to clean an ID machine between every 5,000-10,000 cards produced, so we also offer an 11-piece Magicard Cleaning Kit to keep your machine in optimal condition. All systems come with a USB input/output cable, CD with printer drivers and user guide, and all necessary warranty documents. 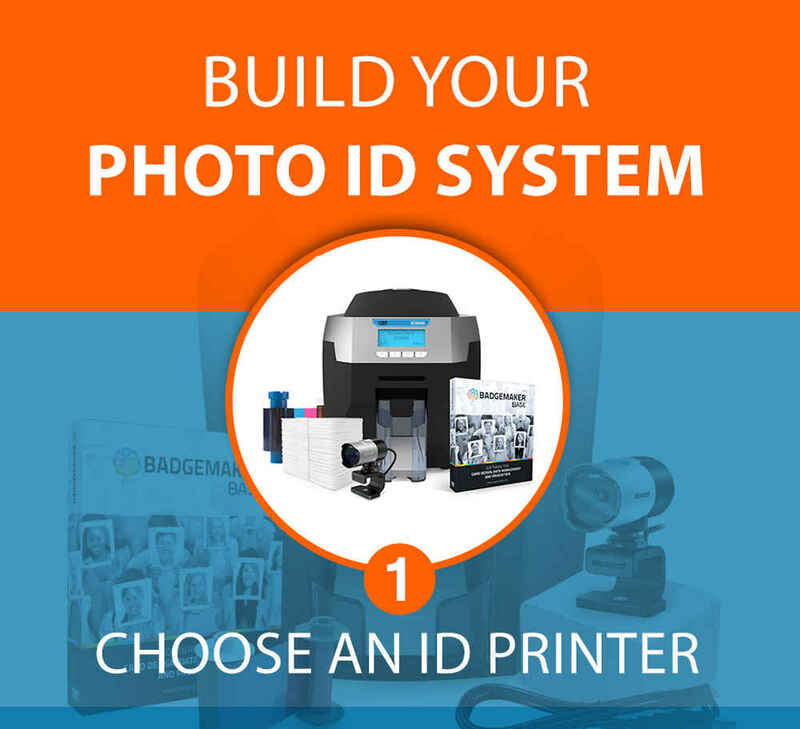 The benefits to building your own Photo ID Systems are endless. A major benefit to having a photo ID card system is that they tend to be a more cost-effective way to implement your organization�s card program. Because you�re purchasing all of the integral components at once, it costs less than if you purchased everything separately. Another advantage of a system is that all of the essential items are packaged for you, so it takes any guesswork out of which type of ribbon, cleaning kit, camera, or software you need to buy to get your program up and running. Additionally, properly managing access points is critical for the security and efficiency of your business. Automated access control is an outstanding way to protect certain areas of your business without getting in the way of productivity. There are many powerful access control technologies (smart chips, RFID, etc. ); photo ID badges can be embedded with these technologies. You can make ID cards tamper-proof with unique security features such as holographic overlays, ghost photos, fingerprint security, and printer memory card capabilities. Being able to verify ownership with a photo ID ensures that the right people are using the access control resources in their possession. Not only does having your own in-house machine reduce waste, it also helps eliminate the hefty cost of third-party reprints, as sturdy plastic PVC ID cards can last 20 times as long as a paper laminate card. This will reduce the amount of money spent on new cards, not to mention saving an extremely valuable resource � time. With your own machine, you can also create customer loyalty for your business with a rewards card, or print your own gift or key cards. 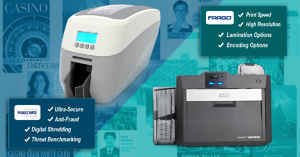 The possibilities with an ID Maker printer system expand far beyond photo identification. 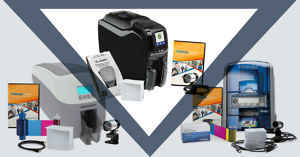 Fortunately, at IDSecurityOnline, we partner with the best vendors of the industry to offer an extensive line of card printers, ID systems, supplies and accessories. We offer premium customer service and our team has been trained to guide you and assist you every step of the way. We are at your service to help you choose the right product, but also to make sure that you are getting the most out of it after your purchase. Idsecurityonline.com also comes with the backing of our certified repair center and loaner program during service periods, our exclusive price match guarantee, and free UPS shipping on most qualifying orders. In essence, opting to build your own customized Photo ID System will give your business complete control when it comes to the features and benefits of the cards you make. Everything from layout, color, security features, and customization to fit your business' logo and formatting to stay congruent with your brand. It will allow your business and the cards you make to stand out, all while saving time and money in the long-run by keeping everything in-house and under control by your own security parameters. If you have any questions about how IDSecurityOnline can best suit your business needs, feel free to contact us and one of our representatives will give you an even more detailed breakdown of your options.